A typical gas chandelier (e.g. 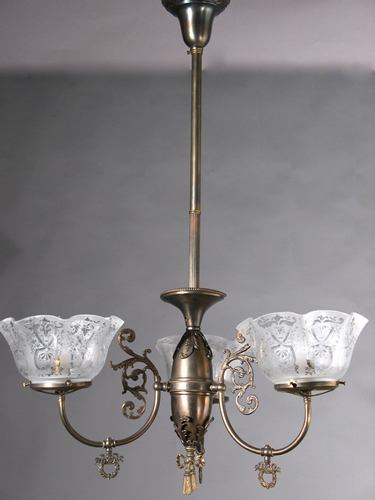 3 arm gas chandelier) would have 3 arms with bowl shades on the end of the arms housing a gas flame that would light the room. The wattage output from gas chandeliers was fairly low.